Governor Terry McAuliffe announced that Believe in Bristol received $10,000.00 from the Virginia Tourism Corporation Marketing Leverage Program grant fund. In total VTC awarded more than $852,000 for 46tourism marketing projects across the state tohelpincrease visitation and revenue for Virginia’s localities through tourism. The grants are designed to help local and regional tourism entities attract more visitors by leveraging local marketing dollars, and will ultimately impact at least 195 other statewide tourism entities. The local organizations match the state grant funds by a minimum of 2:1 in order to support marketing projects. This funding cycle, the local partners will match the VTC grant dollars with more than $2.1 million, providing more than $3 million in new marketing to increase visitation to Virginia. Believe in Bristol received a $10,000.00 grant for their Digital Marketing Platform request. 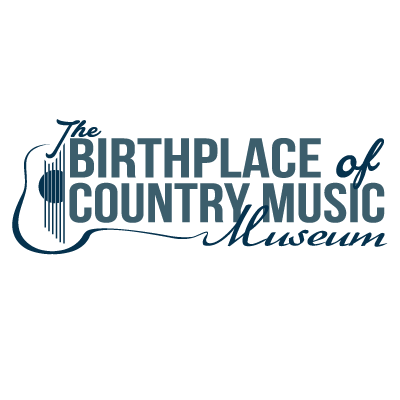 Believe in Bristol partnered with Birthplace of Country Music and the Bristol Convention and Visitors Bureau to supply $10,000.00 in matching funds for the project. Believe in Bristol has seen a significant increase in the interest in tourism and events happening in Downtown Bristol. Studying the Believe in Bristol website traffic, shows more than 20% of traffic in the last year has been from mobile devices, the majority of which is from the highly sought-after iPad and iPhone customer. Believe in Bristol’s goal is to centralize valuable information such as restaurant menus, shopping sales, and special events for the downtown consumer. 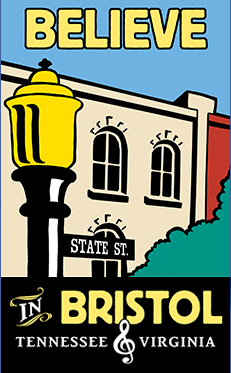 The new Believe in Bristol mobile friendly website will be the fastest and most convenient way to browse possibilities while you are downtown, at the hotel, or even at home on the couch. Not only will this serve to drive consumers to events, restaurants, and other downtown businesses, but it will also provide a compelling resource for the aspiring business person to learn about our districts resources. The Believe in Bristol website development and Electronic Marketing WILL make a difference for not only Believe in Bristol but the Bristol Convention and Visitors Bureau in also marketing all that Bristol has to offer and the Birthplace of County Music in marketing our music heritage to the country and the world. Visitors will browse several websites before making us a final destination and through this grant the three organizations are striving to be one of the best tourism destinations in Virginia. "Tourism in downtown Bristol is expected to significantly increase in the near future" stated Matt Bolas, Executive Director of Bristol Convention and Visitors Bureau. Love is at the heart of every Virginia vacation. Visitwww.Virginia.orgto learn more about vacation destinations in Virginia or call 1-800-VISITVA to receive a free, Virginia is for Lovers travel guide. The Bristol Historical Association will be releasing a new publication the first of October, entitled, Past and Repast – A Fine Collection of Recipes. This is a unique collection of recipes from modern kitchens and old fashioned made-from-scratch potions from early Bristol families and eateries. This cookbook encompasses exciting recipes, historic images of Bristol, facts and trivia. The association has published numerous books on the history of the Twin-Cities but this is the first collection of recipes, which is in recognition of the thirty-fifth anniversary of the organization. According to project chairwomen Christine Caldwell, “the entire community responded when asked to submit their favorite recipes”. There are 100+ year-old family recipes, including those from the Anderson, Reynolds, Susong and H.P. 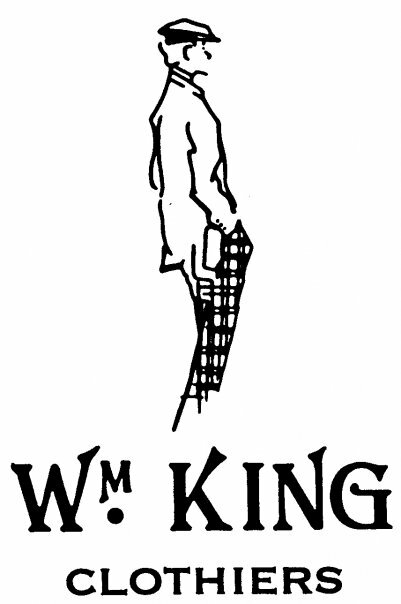 King families. Submissions also include Southern favorites, Spoon bread, Hoppin’ John, Charlotte Russe and Dandelion Wine. According to Caldwell, “This has been one of the most exciting projects she’s been involved in”. Members of the committee have enjoyed bringing long-forgotten recipes back to the family table. This publication will have its debut for the association’s public meeting on October 6, 6:30 at the Bristol Public Library. A presentation will be made by Dr. William Wade on “The Kearfott Legacy” preceded by a public reception. The meeting is free to the public. The recipe book “Past and Repast” will retail for $25.00. The price includes sales tax and will be available at the following outlets; BoxWorks, Boxwood, The Bristol Chamber of Commerce, GlaMar Gallery, Gwen’s Herb Shop and Willow Creek. This recipe book is a community project and the association thanks the many residents that made a submission for this project. For questions or finding outlets to purchase “Past and Repast” you may contact the association by e-mail BHACookBook@aol.com. Also find information on the association’s website, www.bristolhistoricalassociation.com, or on Facebook, BRISTOL HISTORY. Students, family, alumni, and friends are all invited to be a part of King’s Family Weekend 2014 celebration. The three-day event, which runs from Oct. 3-4, allows current students the opportunity to spend time with their families, gives prospective students a chance to tour the campus, and provides alumni the chance to reminisce and reconnect. “Family Weekend is a great time for parents and loved ones to come to campus and spend time with their student while enjoying an array of fun events and activities. We love having families on campus and look forward to Family Weekend, Oct. 3-5, 2014,” said Matt Peltier, dean of students. “Family support is a key part of student success, and Family Weekend represents a dedicated time where we invite families to visit the campus, enjoy fun events, and spend some quality time with their student.” The weekend will kick off with the women’s volleyball game Friday, Oct.3, at 7 p.m., against their rival Southern Wesleyan in the Student Center Complex. The following morning, Oct. 4, at 8 a.m., all are invited to have breakfast with King University Interim President, Dr. Richard Ray. Afternoon events include SLACK (Student Life Activities Committee at King) Roaming Performers, cookout on the lawn at the student Center, and women’s and men’s soccer taking on North Greenville University. Additionally,students and their families can to explore downtown Bristol and all it has to offer. “I am so excited to be working with Believe in Bristol to show King University students’ families what downtown has to offer,” said Emily Loudon, director of Student Life at King University. “We are so lucky to have so many great attractions as part of downtown Bristol we want to show them off to King University families. This will be a great opportunity for families to spend some time with their son/daughter and get to see the many attractions of Bristol.” “Historic Downtown Bristol is proud to welcome King University families to Bristol TN/VA,” said Christina Blevins, executive director of Believe in Bristol. “Bristol has a proud heritage going back more than 150 years of being both a fun place to visit and a ‘Good Place to Live.’ “With so much to do and enjoy, we encourage King students and their families to come downtown and visit the Birthplace of Country Music Museum where you learn about Bristol's great music heritage, shop our unique State Street, and eat some good old fashion soul food at many of our eateries!” For more information contact the Office of Student Affairs at 423.652.4740. The full Family Weekend 2014 schedule can be viewed online at: http://familyweekend.king.edu/schedule/. From salon owner,Charity Corvin: It is with a heavy heart that I announce that the Mad Hatter Salon will be closing. I would like to thank everyone for the encouragement, love, and support over the past three years. I have thoroughly enjoyed being a part of the downtown community and appreciate the generous hospitality we have received from other downtown businesses and organizations.The decision to close the salon was not an easy one. After much consideration and prayer, I believe that it is what is best for my family, as well as my clients. The upkeep of an aging building has proved to be very costly and time consuming. In order to keep from passing those costs on to my clients and to be able to spend more time with my family, it was my decision to close the salon.As of October 16, 2014, I will be at Hair Unlimited (1509 King College Rd, Bristol, TN 37620) and will be more than happy to serve you there! Please feel free to call me at 423-383-3512 to schedule appointments, for directions to the new salon, or for any further information! If you are clients of Raymond Pace or Patty Aiello Williams, please refer to their personal Facebook pages for information on their future plans.Thank you again to all of The Mad Hatter’s loyal customers and to all the new friends we have made along the way. It has been a wonderful experience and we look forward to being able to serve you in our new locations! Birthplace of Country Music is proud to present An Intimate Evening with Dan Hicks and The Hot Licks Wednesday, October 8, 2014, at 6:30 p.m.in the Performance Theater at the Birthplace of Country Music Museum. A well-known, American singer-songwriter, Hicks’ sound combines folk, jazz, country, swing, bluegrass, pop and a bit of gypsy music. He has a keen sense of rhythm, lyrical styling, laid-back vocalizing, and witty on-stage presence. The evening offers a unique opportunity to dine and socialize with special friends and our featured performer. Always intimate and never predictable, house concerts make lasting memories for those in attendance. Heavy hors d’oeuvres and cocktails will be served. Reservations are $75 plus a 5% Bristol, VA admissions tax fee. 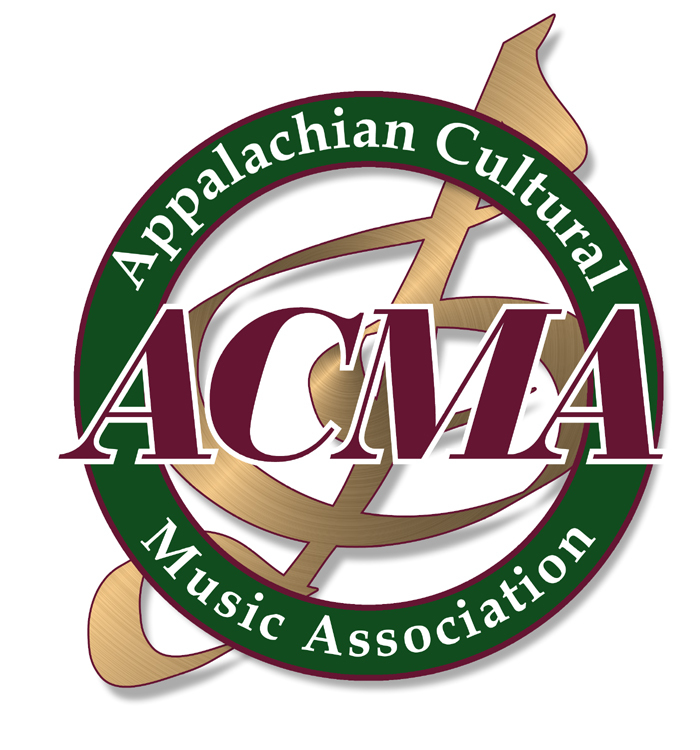 Call 423-573-1927to reserve your seat, seating is limited. Special thanks to Bank of Tennessee for making this event possible. Allow yourself the adventure of this powerful and helpful experience of role-playing what it is like to live on the margins. You WILL be touched! The Poverty Simulation is a 3-hour experience during which participants role-play being part of families living on food stamps, dealing with public transportation, losing jobs—living on the edge. Unless-until-we walk in the shoes of another, we simply cannot understand what personal poverty is like. The Poverty Simulation is a safe place to have this eye-opening experience. 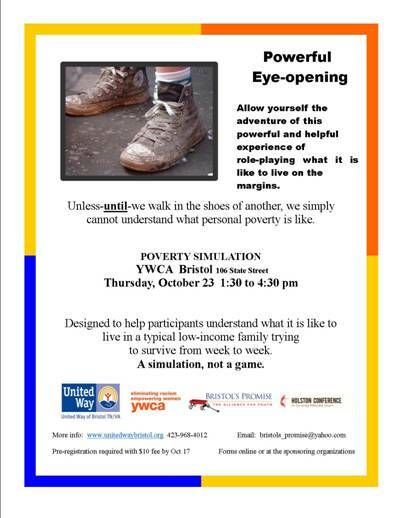 The event will be held at the YWCA Bristol 106 State Street, on Thursday, October 23 from 1:30 to4:30 pm. It is designed to help participants understand what it is like to live in a typical low-income family trying to survive from week to week. It is a simulation, not a game. The goal is for participants to experience life in poverty. In the simulation participants assume the roles of families facing poverty. Some families are newly unemployed, some are recently deserted by the “breadwinner,” some are homeless, and others are recipients of TANF (Temporary Assistance for Needy Families). Still others are senior citizens receiving Disability or Retirement or grandparents raising their grandchildren. The task of the “families” is to provide for basic necessities and shelter during the course of four 15-minute “weeks.” This model simulation is used in communities across the nation. Participation is important for anyone who cares about their community. Office 2013 TransitionDescription:This course covers those features of Microsoft Office 2013 that are new to the Office system since Office 2007/2010. This course includes discussion of new consistent “metro” styling across platforms, level of Office 2013 integration with social networking platforms and tools, “cloud” access, and “touch” capabilities (under Windows 8). PUMPKINPALOOZA AT THE DOWNTOWN CENTER! Believe in Bristol's 10th Annual Downtown Loft Tour! Vetertans Day Parade in Downtown Bristol!